03.11.2017 - Targer Engineering & Consulting began cooperation with Duga Tehna in which, on the basis of a consulting project in the field of quality management, this company will better regulate and organize its business processes. Dugatehna d.o.o. Čitluk, Bosnia and Herzegovina, is active in the field of trade and production of paints, varnishes and facade systems. She is professionally and technologically leaning on the Italian company San Marco, whose products are distributed in the regional market. 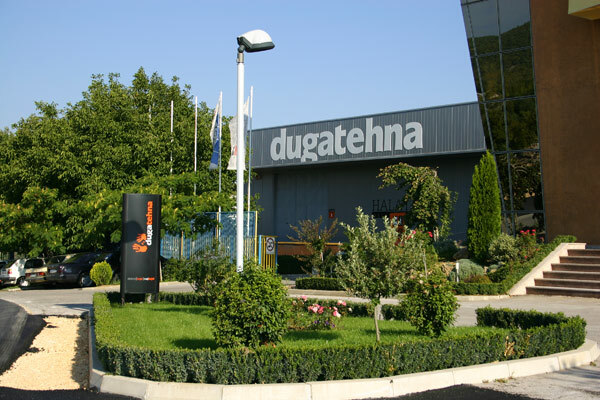 By developing cooperation with this Italian company, the company started its own production and production program, so that products under the brand name Dugatehna can be bought and used throughout BiH and the region. Strengthening of its own development and production capacities is currently one of the strategic directions of this company. From the very beginning of the business management has paid a lot of attention to quality issues, satisfaction of users, as well as all other stakeholders. Quality is also incorporated in the products itself, so it ensures an excellent level of user characteristics of the product with the aim of their functionality and durability. The company is ten years ago the owner of the ISO 9001 certificate and is currently in the process of preparing for certification in accordance with the revised version from 2015. Dugatehna recognized the need to realize not only preparation for certification but to carry out thorough re-arrangement of business processes, as well as promote the culture of focus on the customer and constant improvements. With this goal, cooperation with our house was realized, whose consulting team in helping Dugatehna companies to further organize its organization, and therefore the position and competitiveness market. The project also includes training of employees in the field of quality, lean management and process improvement. At the beginning of next year, the implementation of audits according to the ISO 9001: 2015 standard is planned. We would like to thank the management of the company Dugatehna for showing confidence, as well as for all the project involved employees on a constructive and mutually beneficial cooperation. This project is not only a professional obligation for us, but it is our pleasure to participate in promoting domestic production and creating additional value for the country and the region. Targer Engineering & Consulting team for the project Dugatehna!